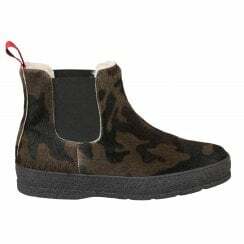 Ammann of Switzerland create incredibly practical yet quirky winter boots, and we are lucky enough to be the only place in the UK you can purchase them from. This exclusive brand has proven to be hugely popular and their winter bootshave been flying off the shelves since they arrived. From their beginnings in 1917, Ammann of Switzerland has dedicated itself to making the highest quality products possible, from the original leather slippers to the robust, fashionable boots we have today. 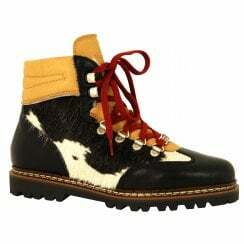 Their winter boots are crafted from high quality, genuine cowhide and are lined with the most incredibly soft, warm sheepskin. The boot’s soles have been designed specifically to cope with the harsh winter weather, ensuring you can step out with confidence when it’s icy or snowy. We all need a good pair of winter boots and the Ammann of Switzerland collection may just have the perfect pair for you if you’re a fan of the quirky and unique! The something for me team love to wear these cowhide boots with jeans, a jumper and a cosy winter coat for the perfect winter look.